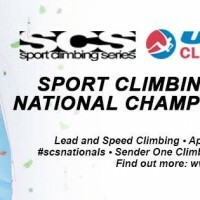 Be sure to tune in this weekend for coverage of 2014 SCS Nationals live from Sender One Climbing in Santa Ana, CA. Louder Than 11 will once again be broadcasting the event with myself and Max Zolotukhin calling the action for you. The women’s and men’s running orders are shaping up nicely including some guy named Chris Sharma scheduled to compete for the men. Should be a good show.